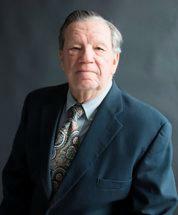 David began the practice of law in 1968 with his father, Robert, and his Aunt, Ellen Loyd. In his early years, he was a Deputy Prosecutor and City Court Judge. David volunteered services for low-income residents in “Miller Drive” to annex the area to the City to get water and sewer access. In 1984, David represented two workers who were building picnic tables for the USDA – Forest Services – when they were poisoned by arsenic released from the treated wood by sawing and drilling. From 1984 to the present, he has invested thousands of hours in researching and litigating arsenic treated wood cases across the United States, from South Carolina to Utah and from Florida to Michigan. End users are exposed to arsenic which is released from the treated wood by: (1) handling, including splinters; (2) sawing; (3) drilling; and (4) burning. There are hundreds of documents and references on the subject, as well as numerous reported decisions. In 1987, David co-authored an article in Matthew Bender (A Guide to Toxic Torts, Chapter 28) titled, “How to Handle a CCA (Chromium Copper Arsenic) Lumber Case.” The article was based on research and documents from the 1984 case for the Forest Service workers. David graduated from Indiana University undergraduate school in 1965 and the Indiana University School of Law in 1968. He practices with his brother, Ed; his nephew, Aaron; and his son, Rob.